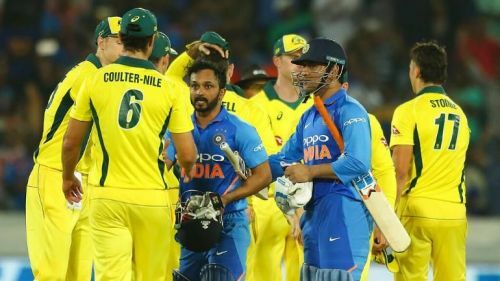 Even though ICC Cricket World Cup 2019 is more than 2 months away, all the participating teams are in the final stages of getting the perfect team combination for the World Cup. The prestigious tournament will commence on 30th of May and will be played in a round robin format. Ten teams will be seen battling it out for the ultimate glory this time. Following the normal protocol, the deadline to submit the final squads is more than a month before the actual tournament begins, which is 23rd April. Apart from Pakistan and Australia, none of the participating teams are scheduled to play anymore ODIs before the deadline. Thus, even though the final squads are to be submitted after a month, most of the teams must have a 15-member squad in mind which will most likely represent their country. Talking about the top contenders for winning the World Cup, all the teams look well balanced and it is pretty difficult to predict the winner. But based on current form and ICC rankings 5 teams look to be favorites to win the coveted trophy. World No. 5, Australia is the defending champions at the 2019 World Cup. 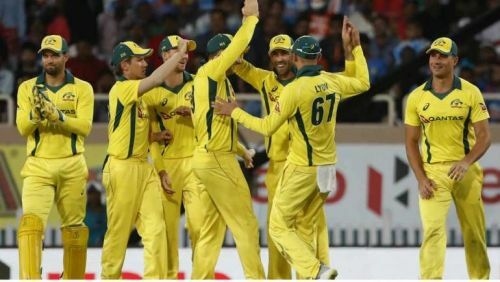 Even though the performance of team Australia has been dismal after the bans on Steve Smith and David Warner, the team seems to have gained the much-needed momentum after winning the ODI series against India in a stunning fashion. Moreover, Smith and Warner are likely to be back for the World Cup which will strengthen the team's batting line-up. Mitchell Starc is also expected to be back for the World Cup. Usman Khawaja, Peter Handscomb and Ashton Turner have been in the terrific form off late and thus, the experienced Shaun Marsh might miss out. Nathan Coulter-Nile and Jhye Richardson might get the nod ahead of Jason Behrendorff for the place in the final 15.